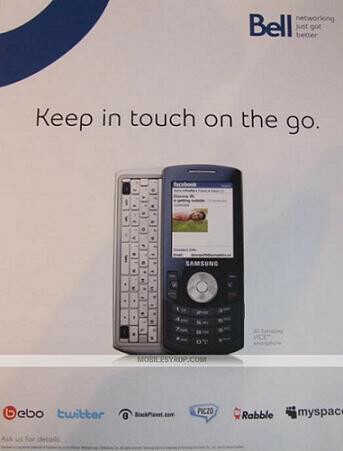 It looks like Canadian users might get the chance to check out a new texting phone by Samsung. The Vice is a side-slider, equipped with both a front-facing numeric keypad and a horizontal full QWERTY keyboard. As you might have guessed, the Samsung Vice is a social-centric handset, designed to deliver quick access and ease of use to customers who really enjoy texting through the popular social networking sites, such as bebo, MySpace, twitter and Facebook. Well, do not get too excited as there isn’t any information about the release date and the price of the phone yet.